I've had a bit of an internet break. Not so much the recreational part of the internet, but the section where I feel obliged. You may have read my blog post last week on Starting a Blog. I've been having a bit of a 'meh' time recently and thought I'd stop internetting and use some of my brain power to concentrate on university and exams and my current real life... instead of trying to break through the writer's block and sluggish obligation I felt to put content up on my internet areas. I want to be able to read my blog and know I've put my all into every post. Every section of it should be a reflection of me and all that I do and enjoy and love, and I felt for the last 10 days or so it would be ignorant to the point of insulting, to post content on here which I don't enjoy myself just for maintaining views. 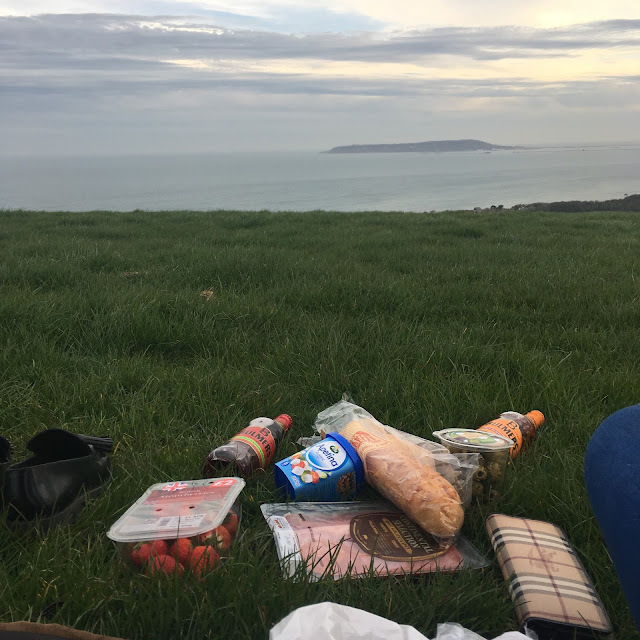 So, instead, I took a break and other than revising, made sure to fulfil three of the most important P's in life, pimms, picnics and nearly p***ing myself laughing on multiple occasions. In the meantime, I wanted to give you the lowdown on what will be happening from now until September, the fourth P. Planning. I'll be living and working in the South of France from June 5th-September 6th, during which, I will have one day off a week, and undoubtedly terrible internet. I obviously want to keep up Alice's Antics because I do love it despite needing a break every so often. Instead of posting as I have the last 5 months (other than this week, woops), on Wednesday, Fridays and Sundays. I am going to post once a week, every MONDAY. On Mondays, I am your gal. Starting tomorrow! That's right. 0 blogs in 10 days, 2 blogs in 2 days, party party party. From then on, it will be blogs every Monday to kick off your week. I will schedule posts so no matter when my day off is, you will see the notification to make you aware I'm still alive and still blogging. And you better come and check it out. Arguably Alice's Antics peaked during my months in Italy which can only mean being abroad is good for me and thus I should go abroad more often. So, starting today until approximately September 6th (give or take) I will be posting a new blog post every Monday and I will be vlogging as and when and hopefully will get a couple of vlogs up whilst in France but who knows.. Sorry for the shambles of a post but I wanted to keep you all updated! I love how every blogger (including myself) feels this great pressure to blog at a set schedule they decided upon, then beats themselves up if they don't blog to that schedule. Yes - you're not going to become Miss Superstar Blogger if you don't post regularly, but that isn't most peoples goal. Blogging is something we enjoy, so we should only do it when we enjoy it. Readers tend to stick around no matter what - I know I still follow blogs who haven't posted in years, as I know if they pop back, even if only for one post, I'll want to hear what they have to say. Don't worry too much about it, I know I for one will be sticking around to always hear what you have to say!